Middlesbrough must retain focus on the Championship despite Tuesday's League Cup third round victory against Wolves, says head coach Aitor Karanka. Boro are second in the Championship table and have won six games in a row in all competitions. Despite that run, Karanka does not want to lose momentum in the league. 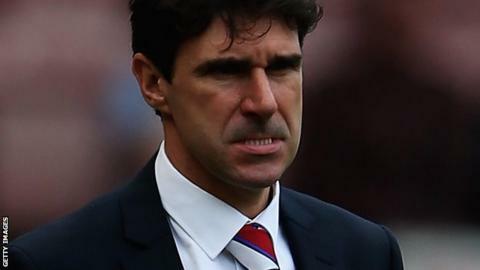 "We are in a good position but, in this leagu,e you lose one point, two points or three points you're in trouble," Karanka, 42, told BBC Tees. "We have to keep going, we've done nothing. We're in September and it's a long season." The Teesiders take on Leeds United at the Riverside on Sunday.